Are you unsure how your website content is impacting conversions? You’re not alone. There is a confidence gap with content marketing because most people are still new to it, but companies ARE seeing real results with their strategies. One of Brafton’s customers, a healthcare IT company, came to us looking to generate leads with its website. This is one of the most common goals for brands with SEO strategies. 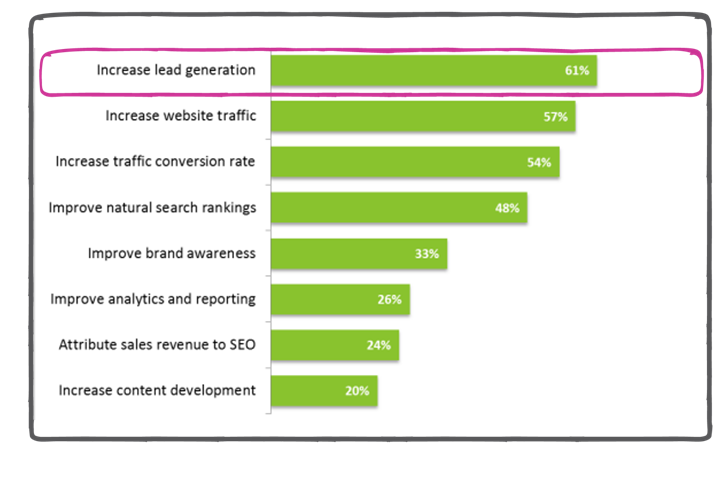 According to a Conductor study from the end of 2014, 61 percent of marketers say lead generation is their top priority for 2015. Written content like white papers and case studies, and visual content like infographics, are highly successful at generating leads because they give readers a reason to convert. As a B2B software vendor, this company makes money off the website when qualified leads take demos and then purchase its products and services. To achieve that end goal, the business first needs to attract healthcare professionals to the website, and then get them to click call to action buttons to request a demo or speak with a sales consultant. We worked with the client to build a content strategy that would drive visibility in search results and bring organic traffic to the website. Our strategists worked closely with our content writers to build a campaign that answered prospects’ questions about EHR software through analytical blogs. One way to generate leads from content readers is to attract a qualified audience and give them clear opportunities to complete form fills (like a request a demo field). Because this company’s blog is gaining traction in search engine results pages and generating more traffic, there will be more readers flowing to the site who might become leads. We also worked with the client on long-form content like white papers and case studies that would give readers a reason to provide their contact information (aka become a bonafide lead). Putting content behind a download wall is one of the most effective ways to generate leads from your website and the content you put on it. Check out this blog post to learn more. The strategy is generating leads for the client and becoming more successful over time. Within the last business quarter, we have seen a 17 percent increase in goal completions from the blog content. In addition to the rise in conversions overall, we have seen a rise in the number of conversions from search traffic, meaning the blogs are bringing in qualified traffic. 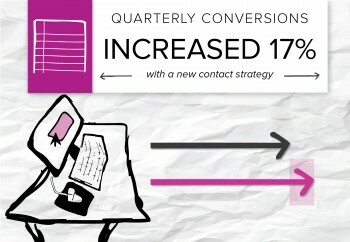 About 60 percent of goal conversions are from organic search visitors. Now, we’re working to refine the strategy even further and striving to add more optimized call to action buttons that will improve the site’s visual appeal and generate more leads.